NH Behavioral Health Services (NH BHS) aims to provide effective and culturally sensitive comprehensive care and treatment for adults with behavioral health needs. Empathy: Our work is driven by dedication to the people we serve. Collaboration: Together, we raise awareness and understanding about mental wellness and its stigma in the community. Service: We encourage the utilization of behavioral health services by providing accessible and affordable behavioral health care. Our work is driven by dedication to the people we serve. Together, we raise awareness and understanding about mental wellness and its stigma in the community. We encourage the utilization of behavioral health services by providing accessible and affordable behavioral health care. Connery Lee, FNP obtained his Master of Science in Nursing at the University of Phoenix and has served as a USAF Major in 163rd Air National Guard. He has worked at CCS to provide psychiatric treatment for more than 1,000 patients in Kern County and at Royale Healthcare Center in Santa Ana to provide primary care for adult and geriatric patients. He has ample experience in treating patients with various mental health disorders and is committed to high quality care for his patients. Mr. Lee’s thorough patient assessment and personal communication skills allow him to understand patients at a more in-depth level and provide proper treatment for his patients. 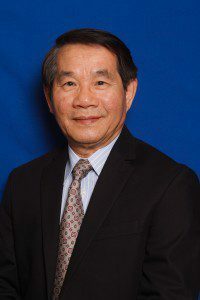 Thanh Do, LCSW earned his Masters of Social Work at the University of Minnesota, School of Social Work and has been working with mental health patients for more than 25 years. He has work experience at the Orange County Health Care Agency, working with adult outpatient services where he collaborated with the Interdisciplinary Clinical Team to assess patients and provide them with educational and quality care. At Nhan Hoa, Mr. Do performs psychotherapy and case management services to help patients maintain stability in the community and prevent psychiatric hospitalization. His dedication with improving mental health in Orange County shows through his leadership of being Clinical Supervisor at Korean Community Services and currently Lead of Behavioral Health at Nhan Hoa.